Before you read this book there are two very important things you must understand. I feel that knowing this will drastically change the way you feel about The Antidote: Happiness for People Who Can't Stand Positive Thinking. If you pick this book up hoping for a simple step by step guide on how to find happiness without subscribing to the tired idea of JUST THINK POSITIVE :D :D :D!!! you're going to be disappointed. 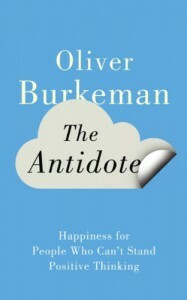 Not only does Burkeman explain that the self help "Cult of Optimism" will actually make you less happy, he explains that our entire idea of happiness and what will make us happy is pretty messed up. Especially the way that we built certain things up to impossible heights then allow them to crush us if they don't come to be. Now, this book wasn't a huge wake up call for me. I have never felt that positive thinking was good for much and I don't think I have ever really read a self help book. 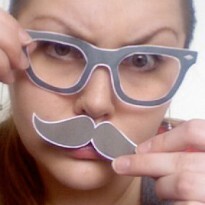 It did help explain a lot of things that I have previously felt but wasn't able to communicate to others. I would say that this book is more of an introduction to a way of thinking. To truly understand the issues discussed in this book you would have to do a lot more reading, and I think that once you finish The Antidote you'll want to do just that.